The Nigerian government says it has begun the process of restructuring and recapitalising the Bank of Agriculture. Audu Ogbeh, the minister of agriculture and rural development, led other key players in the sector to the Kick-off meeting of the Financial Advisory Service for Restructuring and Capitalisation Project of the Bank of Agriculture (BOA). The meeting was called to deliberate on how BOA can become a strong instrument that will strengthen the Nigerian agricultural sector. The bank was established in 1972 to provide small credit to farmers. Ogbeh said if the restructuring project is successful, farmers will become co-members of the BOA and have easy access to loans. “We want to create a bank for farmers and they will become co-members and this will be an opportunity to make the BOA the largest bank in the future. It will be like the ones in China and the Netherlands,” he said. Speaking at the event, the Director Public Enterprise (BPE), Alex Okoh, said the BOA performed poorly in the past due to inadequate funding, poor risk management strategy, and non-performance of credit facilities, amongst others. He said there is a need to recapitalise the bank to give it a new face and make it attractive for investment. Mr Okoh said the bank will provide basic financial services to farmers in both rural and urban areas and also create employment opportunities for the people. He said the restructuring will take place over a period of 90 days beginning from Tuesday, April 16. “The Federal Government will retain only a minority share of the bank, while farmers and cooperatives will be the majority stakeholders. It will be a farmers’ bank,” he said. 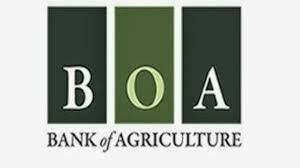 Mr Ogbeh said poor management on the part of BOA has contributed to the failure in the agriculture sector. He also decried the failure of high profile farmers to repay loans. He said this has become a major problem in the Nigerian agricultural sector. “It is because they lack agronomic skills that will enable them to have a high yield of products after harvest,” Mr Ogbeh said about the difficulties of the farmers to operate profitably. NAN reported last year BOA saying farmers take loans and refuse to pay. As at the time of this report, it had an outstanding loan of N60 billion. “The failure of agriculture has been because farmers fail to do certain things before going into agriculture,” the minister said. “For example, a farmer in Nigeria plants maize one metre apart, but another farmer in Europe will plant six inches apart and will end up producing higher than the Nigerian farmer,” he said. The minister said the federal government was working hard to ensure that good agronomic practices are observed by farmers to produce quality outputs. “We are ensuring that there is an improvement in seed supply, soil testing and also a new agricultural extension programme in all local government areas of Nigeria,” he said. “We will also ensure the security of farmers and their farms so that farmer will work safely on their farms,” he said.